Summer flowers brighten up outdoor living spaces. 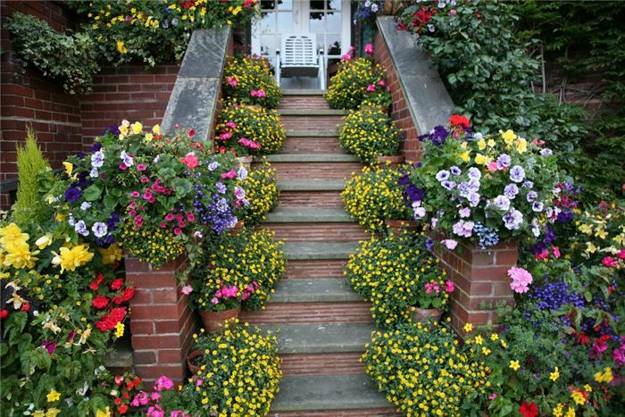 Backyards, terraces, balconies, porches and gardens look gorgeous in summer. Decorated with beautiful flowers, outdoor seating areas offer pleasant retreats and increase living spaces blending bright summer decorating with functionality, comfort and aesthetic appeal. Backyards, terraces, balconies, porches and gardens are conveniently close outdoor living spaces that can connect home interiors and people with the nature and allow to relax and energize. Lushome collection of charming outdoor seating areas show how to use summer flowers for outdoor home decorating, adding color, texture and aroma of beautiful flowers to your outdoor living spaces. 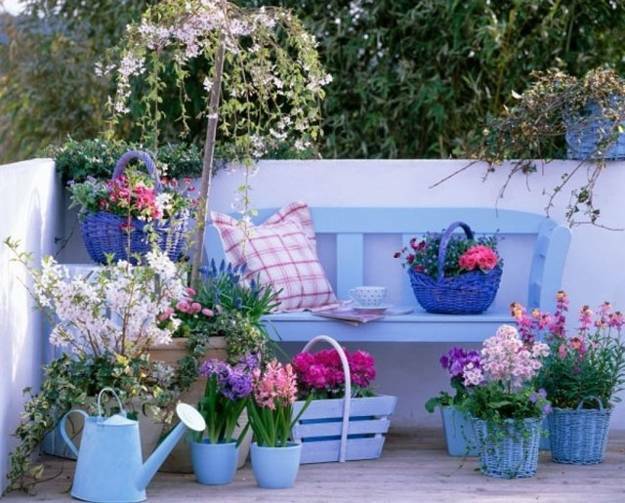 Welcoming and comfortable outdoor seating areas can be simple or luxurious, but all, large and small spaces decorated with summer flowers look bright, happy and attractive. 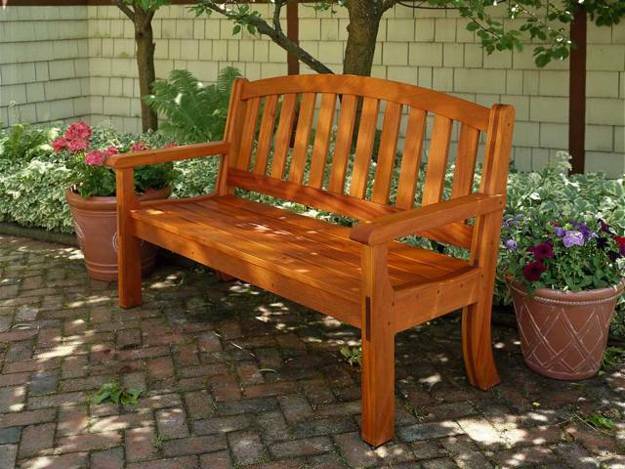 A garden bench or contemporary outdoor furniture sets combined with beautiful garden design or colorful flower beds create fabulous outdoor seating areas, accentuated with summer flowers. Outdoor living spaces are great for entertaining and relaxation. They increase living spaces and increase home values, offering lovely places to enjoy your family and friends. Bright fragrant summer flowers add elegant touches to comfortable outdoor seating areas that feel luxurious, peaceful and relaxing. 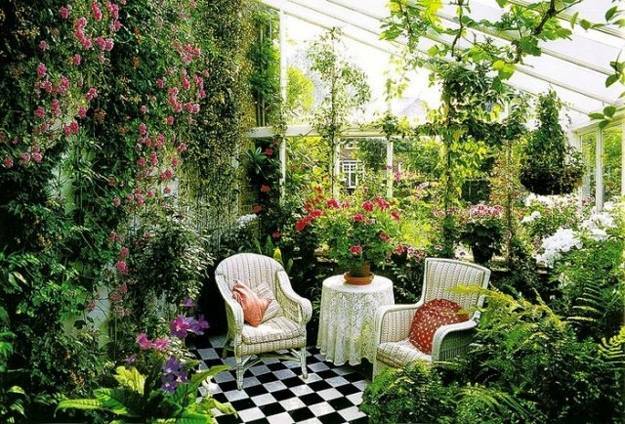 Summer flowers add grace and beauty to outdoor rooms and connect people to the nature in a very pleasant way while they stay outside in the fresh air. 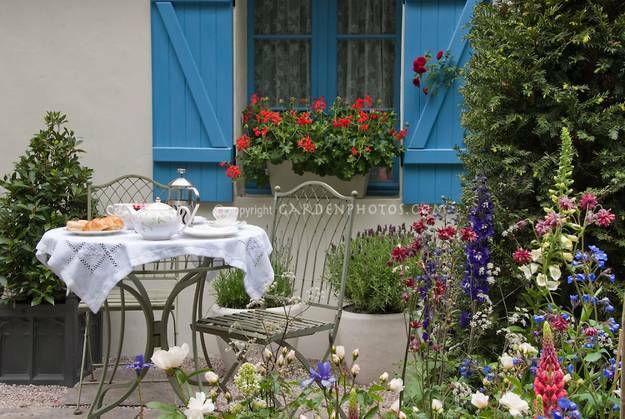 Here are a few pictures that show how to create colorful and charming outdoor seating areas and how decorating with flowers transforms outdoor rooms. Decorating with flowers can be elaborate and expensive, but summer flowers bring so much joy and pleasure. 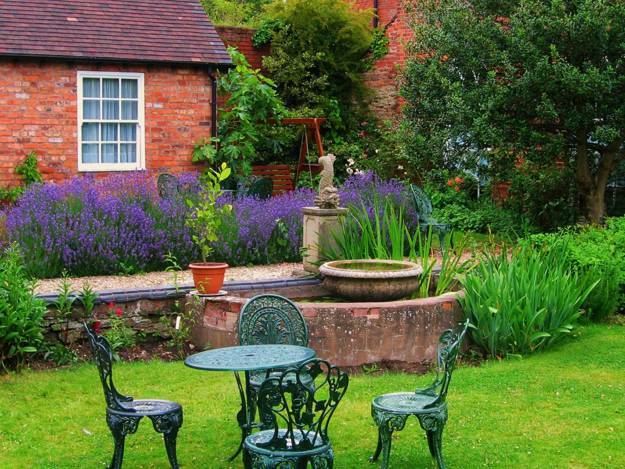 Even just one or two window boxes or attractive pots with summer flowers, which are not expensive, dramatically transform outdoor living spaces. Summer decorating with flowers does not require a big budget to create fabulously bright and beautiful outdoor living spaces. 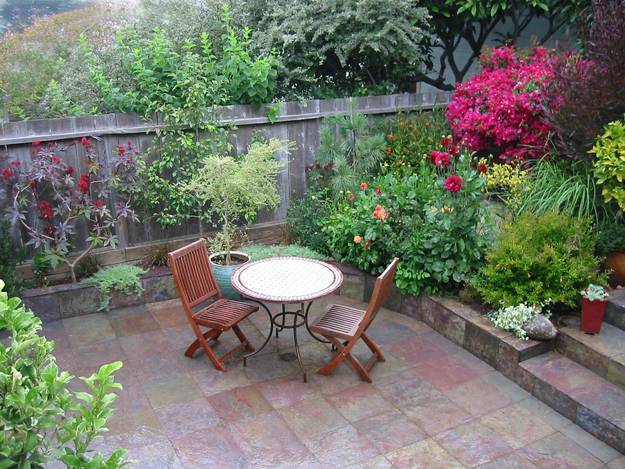 Summer flowers change outdoor seating areas, balcony designs and yard landscaping very quickly and inexpensively. 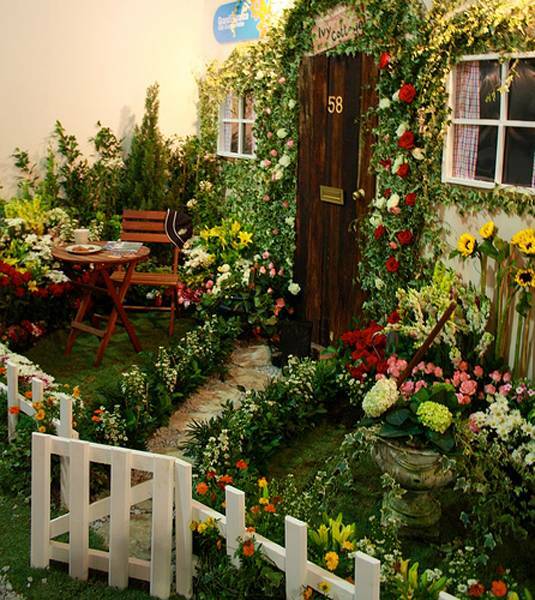 You do not need a large area to enjoy the beauty of summer flowers. A garden bench with two attractive flower pots can look as beautiful as impressive and spacious garden design with summer flower beds does. 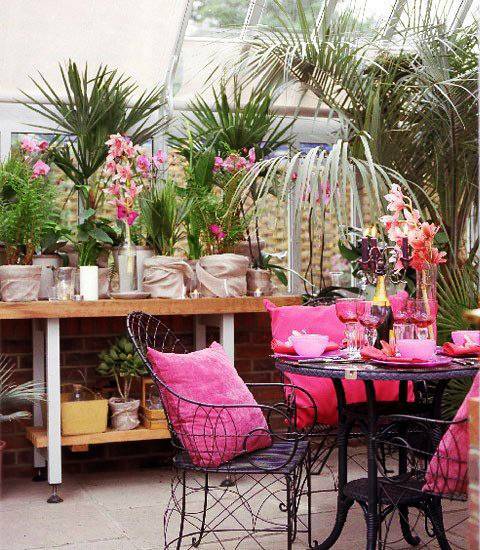 It is all about your outdoor seating area design and items you use for decorating with flowers. 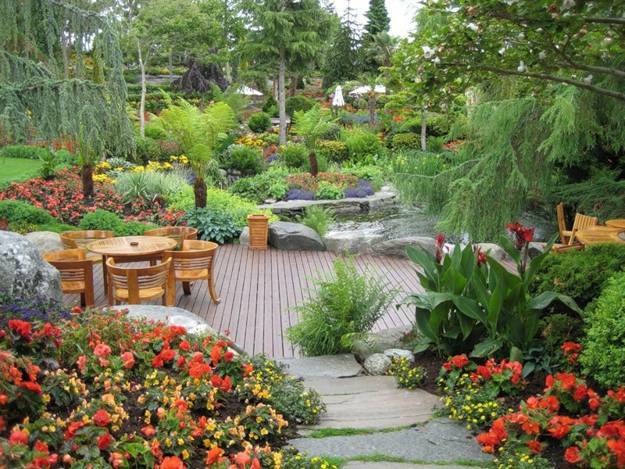 Garden design and yard landscaping can be really transformed by adding colorful summer flowers to shrubs, grass and trees. 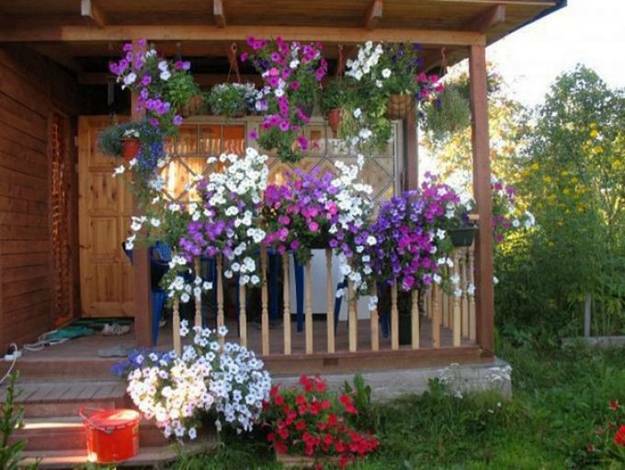 Balcony designs, porches and open decks can be turned into wonderful, private and pleasant retreats with beautiful flowers. Summer flowers are fantastic accents for outdoor seating areas and landscaping. They add color, texture, aroma and depth to outdoor living spaces. 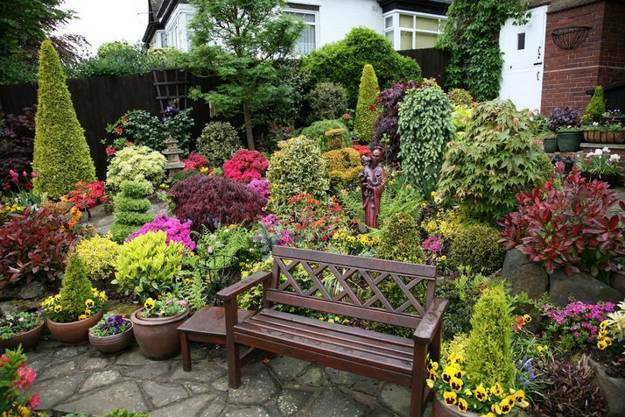 You can use a variety of decorative plants and shrubs with summer flowers. 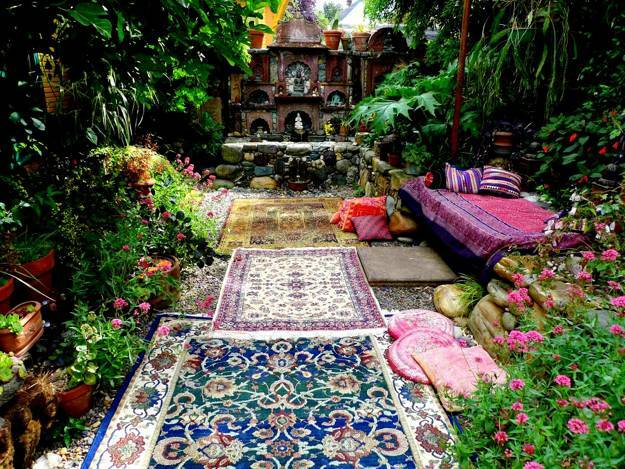 Using plants and flowers of different heights create amazing outdoor living spaces. Wooden boxes, attractive pots and contemporary containers allow to place summer flowers on various levels and enrich outdoor living spaces with pretty designs. Summer flowers can be used for outer edges of beds. They can accentuate trees and unique garden decorations. 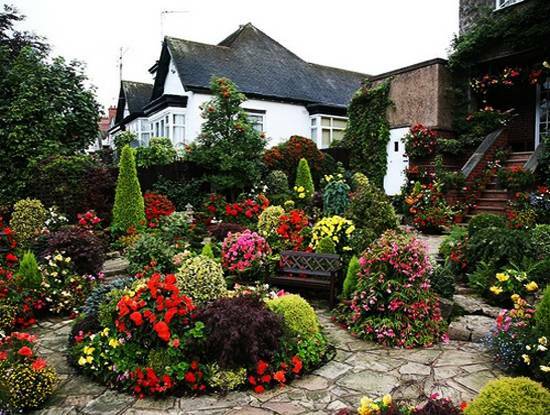 Beautiful flowers make yard landscaping and garden design feel softer and look more colorful. 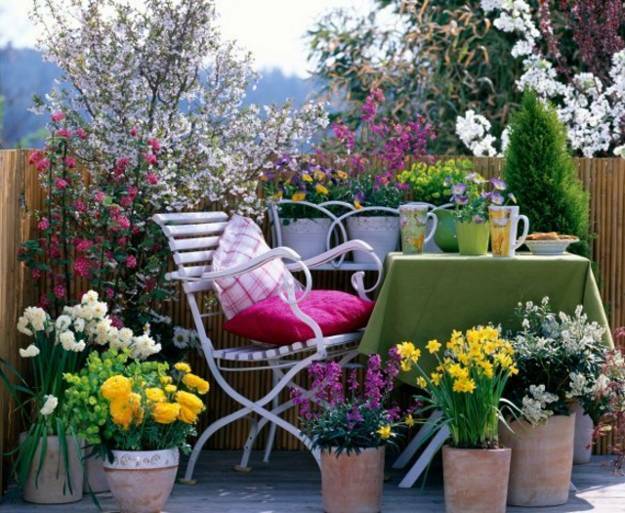 Decorating with flowers if a relaxing way to add gorgeous elements, color and aroma to outdoor seating areas.